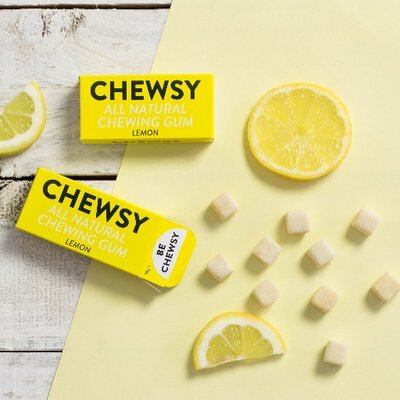 Chewsy plastic free chewing gum! This natural chewing gum is 100% biodegradable and made from plants. 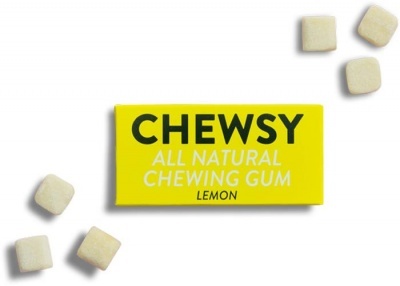 The completely plastic free chewing gum! 100% biodegradable and natural, made from plants! This natural chewing gum is sustainably sourced from trees, it is completely vegan, containing no artificial ingredients. 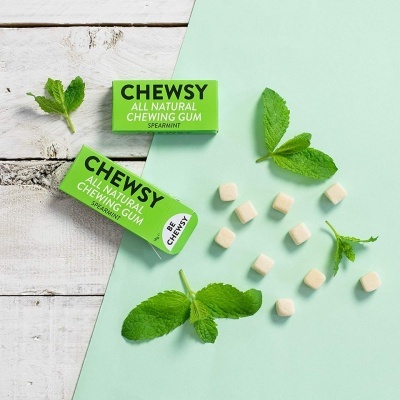 Chewsy plastic free chewing gum contains no soy, gluten, aspartame, preservatives, plastic, sugar and artificial sweeteners. Chewsy chewing gum is a sugar free gum which helps to keep teeth healthy because it is sweetened with natural xylitol. Made with the planet in mind. What the makers say: "We ditched all the gross, health-harming, chemically-modified stuff that you usually find in gum and made ridiculously healthy and tasty gum from nature and nature only. We are honest. We are clean. We are truly the very best alternative to artificial gum. We love it, we think you will too!" Plastic free packaging, plastic free gum.